Located along the banks of the Mississippi River is Quincy, Illinois. The town was started back in 1822 when a settler named John Wood built a cabin here at what is now the foot of Delaware Street. The city grew rapidly, thanks to both river traffic and the railroads. In later years, it became known as the "Jewel of the West" and later, the "Gem City". Thanks to its rich history, the city is also known for its many ghostly legends and lore. There are said to be a number of haunted houses and sites here, including one of the most famous buildings in the region. The stories say that Villa Kathrine, the only Moorish castle built on the Mississippi, is haunted by Bingo, the Great Dane that was once owned by George Metz, who constructed the house. This four-legged is rumored to still haunt this historic mansion. There is also said to be a haunted cemetery in the area known as "Ghost Hollow", located south of Quincy. This eerie graveyard is supposedly surrounded by a high stone wall and is filled with crumbling stone crypts. In the center of the burial ground is a black tomb that bears a one-word inscription in Latin. Few are believed to know the exact location of this cemetery and my inquiries into the site were mostly met with silence. The few who did speak about it claimed that "you could hear the sound of whispers and singing" in the place at night. Also located just outside of the city limits is a housing area known as Harrison Hills, or the "Indian Mounds", as it is sometimes called. According to local legend, the houses here were built directly on some Indian burial sites. Residents still find the occasional arrowhead on the property, not to mention spot the occasional ghost in the surrounding wooded area. Stories say that you can sometimes hear voices chanting in native languages being carried on the wind at night. Quincy's history during the Civil War has also given birth to several legends. Once such story comes from the fact that the city is located just across the river from Missouri, a state that stayed loyal to the Confederacy during the war. Southern sympathizers and spies often came across the Mississippi and stayed in Quincy. One house that legends say often harbored southerners was the "Old Rebel House", which was located at the corner of Second and Vermont Streets. For many years after the Civil War, locals told of spies and saboteurs who stayed at the house and to add to its reputation, it was also regarded as being haunted. Beth Scott and Michael Norman's book, "Haunted Heartland", recounts a spooky incident that took place in the house in 1880's. At that time, the Old Rebel House was occupied by a mother and three children who lived on the top floor, while the woman's married daughter and her husband lived downstairs. There was a long balcony on the second floor that stretched from one end of the house to the other and doors opened from this porch into nearly every room. It should also be pointed out that there was no way to gain access to this balcony from outside. One morning, the mother left for work and placed her daughters in charge of her infant son. Almost as soon as she departed, the two girls began to argue over who got to rock their baby brother's cradle. Suddenly, in the midst of their bickering, a door that led in from the balcony opened up and a sinister-looking man stepped inside. Years later, the two girls would say that the man "looked just like the picture you see of the devil". They simply stared at him as he stumbled across the room and out into the hallway. There was a wooden banister that surrounded the staircase leading down to their sister's apartment and their mother had placed several handmade quilts along the railing. The strange man proceeded to throw the quilts onto the floor, and then he picked them back up again and arranged them differently on the rail. After a moment, he turned and started walking toward the two girls. Before he reached them though, he changed directions and lurched out through the door he had entered through. The girls didn't waste any time and immediately began screaming, bringing their sister upstairs. They explained to her what had happened and pointed out the door the "devil man" had disappeared through. She walked over but found it locked. Refusing to believe the story, she spanked her sisters, a punishment that was repeated by their mother when she returned from work and heard the odd tale. In spite of this, the girls maintained that the story was true. Years after the event, when others had encountered their own specters in the Old Rebel House, the doubters were forced to grudgingly admit that there may have been more to the story than they first imagined! One of the legendary haunted spots is a place called Burton Cave. It is said that on a day back in the 1880's, a group of picnickers spotted a strange and mysterious figure near the mouth of the cave. This person was wearing a long robe with it's hands hidden within the folds and a hood over it s head. The figure vanished but the picnickers moved deeper into the cavern and discovered a woman in a white dress lying prone on a makeshift altar, ritual candles lying all around her. The party ran for their wagons and returned to the cave in the company of several deputies. When they arrived and went back into the cave, the woman, and the mysterious figure, had vanished... No evidence of the strange encounter was ever found. Another haunted spot is the site of the Madison Grammar School. A woman was once brutally murdered in the house that stood at this site and her killing was never solved. Residents who moved into the house were unable to remove the bloody evidence of the crime from the oak floorboards. They reported many strange and unexplained sounds in the house from doors opening to that of a body being dragged down the steps. It was not learned until later that the woman who had been killed in the house had been slain on the second floor and her body dragged downstairs and stuffed into a small closet. Finally, the house was torn down. The school that was built on the site is also believed to be currently haunted and some claim that a mysterious fire that broke out here in 1982, almost destroying the school, was paranormal in origin. According to a correspondent, Quincy University is also believed to be haunted. Solano Hall on campus, which now holds the school of music, was erected on the site of St. Aloyisius Orphanage, which burned down many years ago. According to the legend, several children were killed in the tragedy. The orphanage was rebuilt and the new building was used to house orphans who survived the fire until it closed down. Quincy University, then known as Quincy College, used the building as a dormitory for football players and then it was turned into the current music building, Solano Hall, named for St. Francis of Solanus, who was a musician. In the years following the fatal fire, strange occurrences have taken place in the building and are believed to be connected to the ghosts of the children killed here years ago. 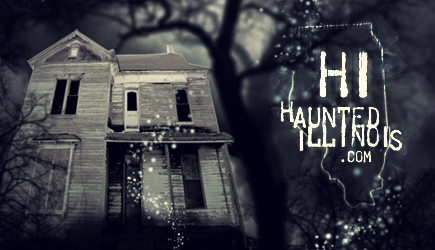 The apparition of a child has been reported in the hallways, running feet are heard in the corridors and screams have been reported by those passing by outside of the building. Others report hearing the sounds of children laughing and playing in the darkened corridors, even though no living children are present. Across campus is MacHugh Theater, which is located in Francis Hall. This area was once used as a gymnasium but was converted into a theater, a television station and then back to a theater in the 1980's. A theater professor named Hugh "Fitz" Fitzgerald worked to get the theater restarted again, but passed away in 1998. According to campus lore, his spirit now resides in the theater. Students and staff members who are in the building late at night have often reported spotting his presence in the light booth, where he also appears on occasion to watch the performances. Quincy, Illinois is on the Mississippi River along the western side of the state. Burton Cave is in Adams County and lies four miles east of Quincy. There is a meadow in front of the cave that is still used for picnics. Madison School is located at the comer of 26th Street and Madison Street in Quincy. Thanks to Phil Touchette for additional information about Quincy University.